Wow! Time flies. As usual, the end of November is heralded by the iconic kiwi event that involves circumnavigating a big puddle of water in the middle of the North Island. I've always loved the vibe on the journey up from Wellington for the Lake Taupo Cycle Challenge, as a procession of cars adorned with bicycles journey northwards. This will be my third time at the event, which feels like it is becoming something of a milestone for me. Lots has happened in the last two years. The 2011 edition was all a bit of a last minute decision. I was mainly enjoying the occassional club road race and a friend, Rob Te Moana, egged me on to race in Taupo 6 weeks later. I first met Rob at a club race, initially because I was tactically astute enough to cotton on to the fact that hiding behind a big Maori fella on the flat just prior to a sprint finish wasn't a bad idea. I was contracting for NZ Army at the time and he was keen for me to join a military team. Six weeks doesn't leave much time for base training for a 160 kilometre lap of the lake (and these were my racing days prior to any structured training programme) so I opted to chalk up some of the "fun ride" events in the local area last minute, including Tour de Whitemans, Martinborough Fun Ride and Tour of the Wairarapa. Being fun rides, these aren't races (yeah, right). 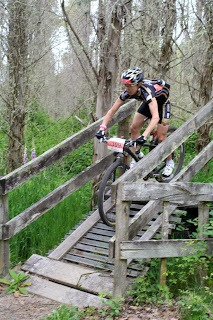 For Taupo weekend that year, the weather conditions were a tad blustery - in fact, several trees fell during the mountain bike race and it was called short. Accordingly, I was smug about my decision to ride on the road. I finished my "Round the Lake" roadie stint in 4 hrs and 36 minutes. All things considered, not a bad effort. I was the fastest chick round the lake and fastest military rider overall. The NZ Air Force went away with the military cup - a nice irony considering my retired Squadron Leader status. I decided then that the following year I wanted to race the Friday evening criterium (it looked like heaps of fun) and one day I wanted to tackle the two lap option (not sure the reasoning behind that decision, it just was). Then 2012 rolled around. It had been a somewhat bizarre winter with the discovery of some additional horsepower in the legs (after some fabulous coaching guidance!) and some hidden cyclocross skills. Who would have thought riding around a park in winter could be such a revelation? And so much fun?! And that I could ride that fast?! 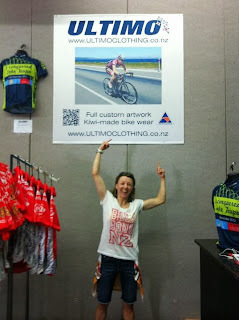 I'm not the most observant person and provided some amusement for the Ultimo clothing boys at the expo in Taupo when I failed to notice the huge photo of my mug on the wall. I provided even more entertainment when I rocked a yellow bikini around the expo with Emily Miazga of scrumptious Power Cookie (and yellow bikini wearing) fame. True to my word, I raced the criterium and had a blast. Even managed something that resembled sprinting and finished 5th. 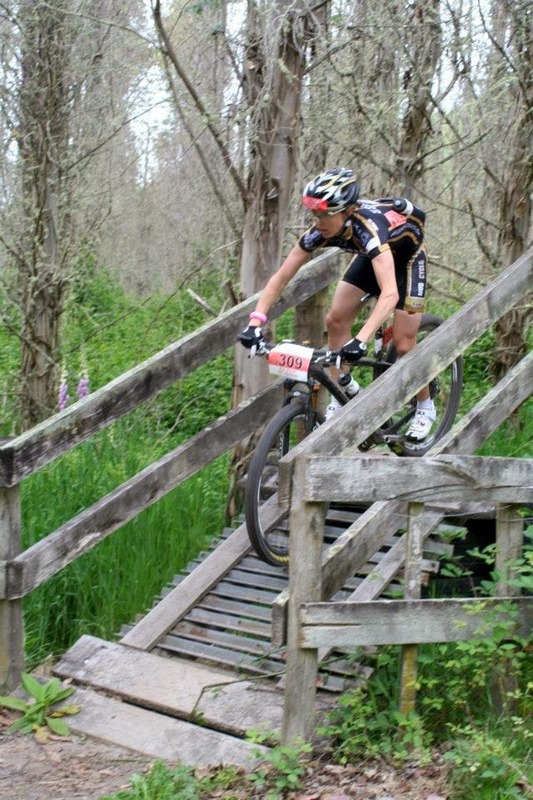 Then jumped on the mountain bike the next morning and raced the Huka XL, taking third spot on the podium behind kiwi MTB legends, Karen Hanlen and Annika Smail. I had raced Annika years before. In the Fort Bill World Cup in 2006. Although neither of us would have known it - I finished 62nd to her 16th. The margin was a bit closer in Taupo (well done, coach). And here we are. Two years later. I've piloted my way through a good chunk of fun on two wheels in that time and, true to my word (just like last year), tomorrow I'm doing the two lap version of Taupo. A work colleague chuckled when I described it like that and said, "Two laps makes it sound like a 10 kilometre jaunt, not a 320 kilometre race" followed by, "How do you prepare for that?". The answer for this week's preparation schedule seems to be run a heap of clinics, get through a load of meetings, fit in some time to sleep and eat and pack, squeeze in a couple of easy commutes to constitute a taper, work until 11 hours before you're due to race, grab a flight to Taupo, be re-united with your bike and dedicated support crew, grab a big pizza, drink coffee, maybe a nap, more coffee, throw on lycra, and jump on the bike...somewhat relieved that all you have to do for the next few hours is pedal. Two hundred miles is a decent bicycle ride. It will be the furthest my road bike and I have travelled together (at least when its not been on the roof of the car). My personal best prior to that was the 284 kilometre Hutt to Palmerston North loop that I rode with young whippersnapper (I'm allowed to say that, he's only just over half my age), Ryan Hunt, before we both did our first 24 hour race back in April this year. It was an epic day out and heaps of fun. We experienced the bidirectional headwind which is customary for this part of the world and cruised over the summit of the Akatawaras just as the sun went down. Ryan is a great training buddy and has since told me that, one day, he wants to ride home. That's Wellington to Taupo. Three hundred and seventy kilometres. One day. Old bird vs young fella legs after a long day out! I have fantastic sponsors. Really awesomely fantastic ones. Ones that not only support my crazy plans but actively encourage them. Ones that make a custom high visibility gilet cos it's in the rules to wear something like that (high vis, not bespoke clothing that is - thanks Ultimo). Ones that launch an extra tasty bar just in time for a long race (pretty sure that's the best coincidence ever - thanks Em!). Ones that make sure your bike will run super sweet on race day (thanks Slackboy & Mud Cycles- again!). Ones that are willing to be support crews at all times of the day or night (you've only got yourself to blame, coach). As well as friends that are willing to join the support crew (thanks Charlotte Ireland - I will repay you with shuttling!). The gun goes at 1:30am tomorrow morning. Lake Taupo is a bigger than average sized puddle to ride around twice - actually it's the same size as Singapore. For those back in the motherland, distance wise it's like smashing it along the M4 from London to Swansea (plus another 10 miles and 3,500 metres of climbing hilly bits too). Or Wellington to Napier in NZ. And I hope to do it in good time for lunch on Saturday. Make that four lunches. Good luck to everyone on their journeys "Round the Lake" (once, twice, or may times), at the Huka, crit, or any other way you're getting out there on two wheels. Fingers crossed for PBs and sunshine all round! 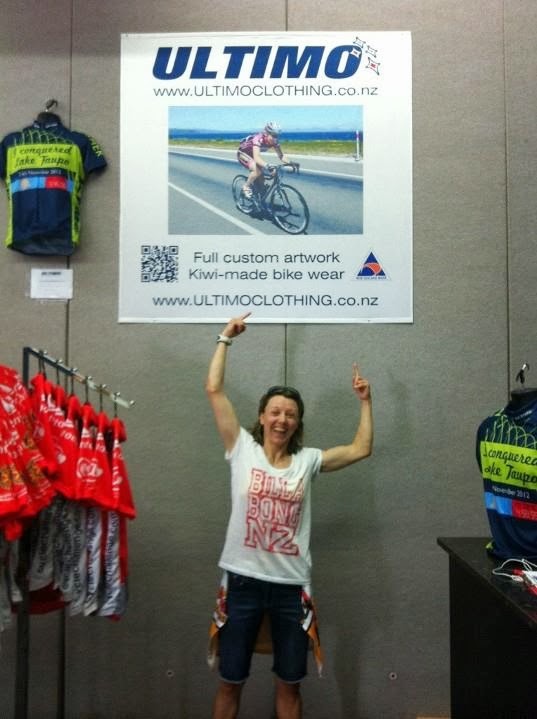 Go visit the Em's Power Cookies stand at the expo and be sure to grab some Lake Taupo Cycle Challenge merchandise from the Ultimo boys. And if you pass me in the morning say hi!